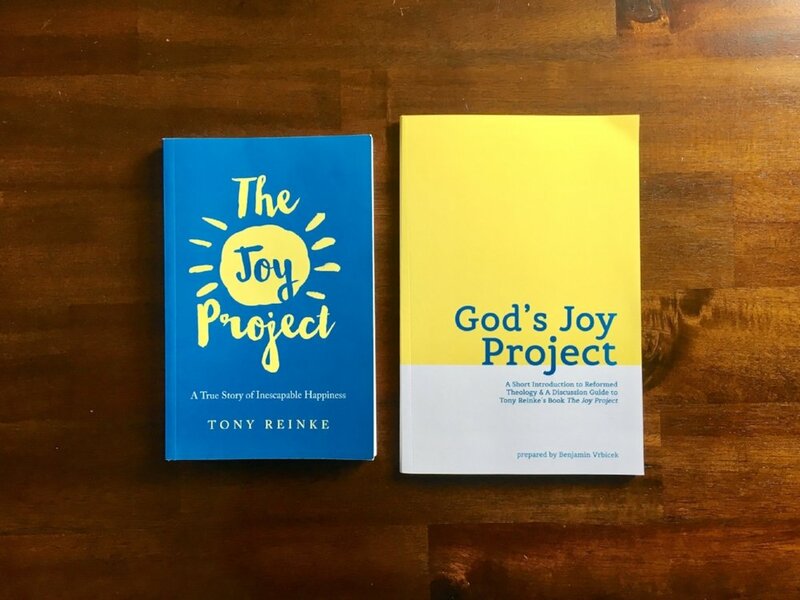 I’ve written a discussion guide for Tony Reinke’s book The Joy Project: A True Story of Inescapable Happiness, which can be downloaded free of charge in three digital formats at desiringGod.org. Reinke is senior writer for desiringGod.org, host of the popular “Ask Pastor John” podcast, and the author of several books, including 12 Ways Your Phone Is Changing You, which was published in the spring. My workbook for The Joy Project includes a short introduction to Reformed theology as well as a 7-week discussion guide. This companion guide is ideal for personal study and small group discussion. It provides questions for each chapter of Reinke’s book and discussion questions related to Christian songs that share the themes of each chapter. We are all looking for joy. The Joy Project, however, is the story of how joy finds us. It’s the story of how God has worked, and is working, to save his people and love them forever. Anticipating unending joy in the presence of Christ changes everything. It means we can relinquish control over our lives. It means we have no fear of the future. It means all our pressing toward personal holiness is not in vain. God elects so that we will be conformed to the image of Christ, in his holiness and in his happiness. It will be done, and we strive and obey in this inescapable hope. You can download electronic versions of the workbook free of charge here (PDF, Kindle, iBook).